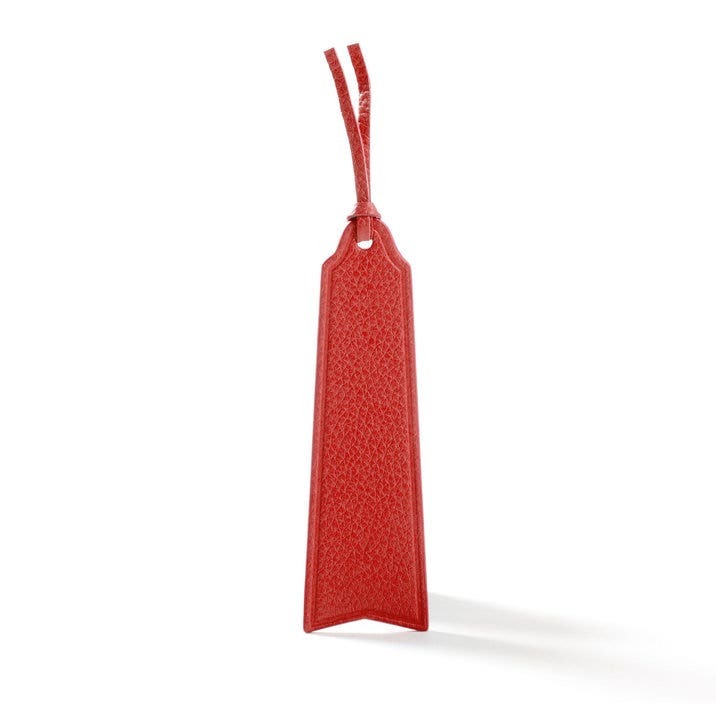 A classic accessory, our Bookmark gives you a sturdy way to mark your place in your current book. Designed with quality in mind, this is a bookmark that'll last for ages. This Bookmark is expertly designed to fit virtually any size of book and features a single fringe tie at the top. It's a great accessory to any personal library and makes a wonderful gift for the reader in your life. There's none of the tearing you get with flimsy paper models or losing scraps you stick in the pages with our Bookmark. We're sure you'll love it as much as we do! I ordered 4 of these beautiful bookmarks, and they are well worth the money.. The packaging was fantastic, very classy, thanks leatherology, I will be ordering more .. I bought this monogrammed as a 3rd anniversary gift for my husband. Between the product and packaging, it made a beautiful gift well worth the value. Product functions for intended purpose, looks great and service was outstanding. I love this little bookmark. The shape is interesting and the monogram was nicely done. My Dad was using a business card for his bookmark for years- he was really surprised to get his very own bookmark, monogrammed and all. It comes in a nice package, and is gift ready. Really nice! Beautifully presented for such a small and relatively insignificant item. Nice quality leather. Wish I had had it personalized. A gift for my 10yr old granddaughter. Customer service and product are first rate. Will buy again.